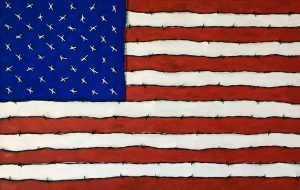 George Mullen, Barbed America Series, 2016-2018, barbwire and oil on canvas, 30 x 48 inches. Copyright © 2016-2018 George Mullen. All rights reserved.